The Mummy is a 2017 action, horror, and thriller film directed by Alex Kurtzman. It is a reboot of Universal Pictures' The Mummy franchise and is also the first installment in Universal's Dark Universe cinematic universe. 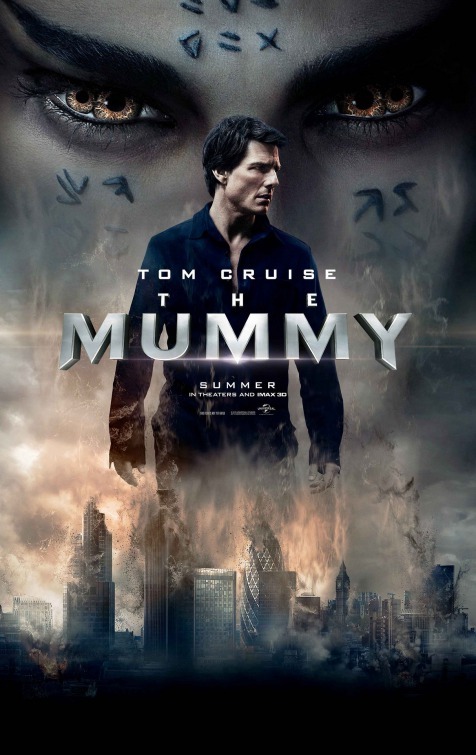 The Mummy 2017 focuses on an ancient Egyptian princess that hunts the man who awakened her so that she can use him to bring a great evil into the modern world. In the New Kingdom era of the Egyptian kingdom, Princess Ahmanet (Sofia Boutella) kills her father, the Pharoah Menehptre (Selva Rasalingam), as well as his wife and child so that she can claim the throne for herself. She is captured and condemned to be mummified alive for eternity as punishment for the murders she committed and for trying to bring her lover, the dark god Set, into the world. In present-day Iraq, Sergeant Nick Morton (Tom Cruise) and Corporal Chris Vail (Jake Johnson) of the United States Army stumble upon Ahmanet's underground tomb. Dr. Jennifer “Jenny” Halsey (Annabelle Wallis), who previously had a contentions relationship with Nick, is the archaeologist sent to investigate the tomb. None of these three people realize that they are about to release an evil that defies human comprehension. That evil will make Nick a target both of Ahmanet and of Prodigium, a secret society dedicated to hunting supernatural threats. 1990 saw the release of a movie entitled Hudson Hawk. The film starred Bruce Willis as a thief and was a box office bomb, although I really liked it. Hudson Hawk was directed by Michael Lehmann, hot off his cult film, Heathers. The film's producer was Joel Silver, known for some of the most successful and most violent action films of the 1980s. One of the film's writers was Daniel Water, who rose to prominence for writing Heathers. Years ago, I read a review of Hudson Hawk in which the critic said that the film was sold as a “Bruce Willis movie,” but it was not – not entirely. The critic said that the film reflected the differing sensibilities of the primary creative forces behind hit: Willis, Silver, Lehmann, and Waters, and each of those four men had different ideas about what Hudson Hawk should be. Hudson Hawk ended up being some kind of mish-mash, hybrid action, adventure, comedy, crime caper, and sci-fi film. 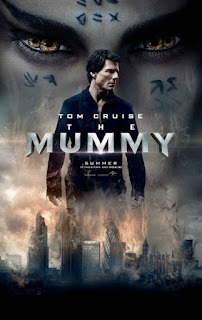 From the time Universal first announced that it was rebooting The Mummy franchise to its completion of the film, The Mummy has involved several directors and writers. The result is a film that is weird, thin on plot, and encompasses multiple genres while really not belonging to any of them. The Mummy 2017 really seems like a movie made by too many people with the power to shape the film – a Frankenstein of Hollywood heavyweights making a patchwork of a movie. The Mummy 2017 mostly reminds me of how much I like... no, love writer-director Stephen Sommers' turn of the century reboot of Universal's The Mummy franchise. Starring Brendan Fraser and Rachel Weisz, The Mummy (1999) and The Mummy Returns (2001) were rousing adventure films in the tradition of Raiders of the Ark. The Mummy 2017 is not rousing and is in the tradition of Hollywood, big-budget, tent pole, franchise-wannabe films that end up being nothing more than another cynical film trying to exploit a moment or a market. The text is copyright © 2017 Leroy Douresseaux. All Rights Reserved. Contact this blog for syndication rights and fees.